Snow making guns are the hallmark of every ski area in the temperate zone nowadays. Every skier knows that man-made snow has a more granular feel than natural snowflakes, but it’s an important asset for creating a solid base and guaranteeing the times that trails are open. Meanwhile snow makers around the world strive continually to come close to the natural powder that skiers crave. 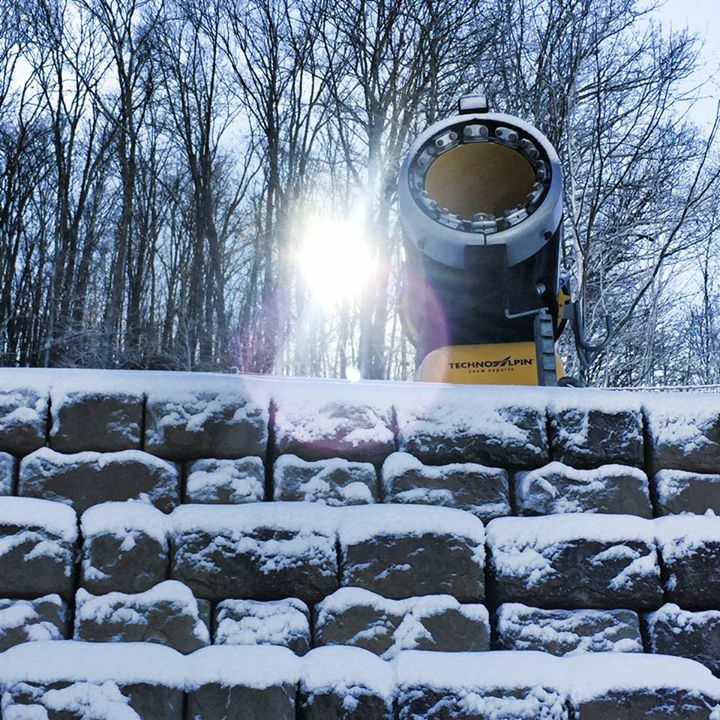 As part of its snow making arsenal, Ober Gatlinburg uses the innovative equipment from HDK. This company was the first to mount snow making guns on towers, which allowed more “hang time” for flakes to form while falling through the air. The snow gets better the longer it falls. Towers are currently as high as 30 feet, with 40 feet the new design target. With equipment being made lighter, smaller and more sensor-driven, accidents among snow making personnel are also dramatically reduced. Improved nozzle design also played a huge part in making better snow, and at less cold temperatures. The snowflake forms in the air by combining tiny droplets together into the crystal formation we all recognize. HDK engineering enhanced the droplet creation process with different size droplets for a more efficient “snow flaking”. One advantage of today’s leading-edge technologies such as used by Ober Gatlinburg in its snow making, is a savings in energy and water. The ski resort in 2014 was one of four in the nation to receive a Sustainable Slopes Grant from the National Ski Areas Association. The grant allowed even more energy-efficient HDK equipment to come online. One other edge that Ober Gatlinburg employs to keep skiers happy is the patented technology from SnowMagic that allows snow making at room temperature – literally in fact. SnowMagic can make real indoor snow, something that has caught the attention of in door attractions all over the world. But for ski areas, it’s pure magic. It used to be that making snow depended on waiting until the outside air was below freezing (generally around 28 degrees) and then spraying water into the air to freeze and form into snow. As we’ve seen, that process itself has tightened up its specifications considerably in recent times. But what if you freeze the water first and then shoot it out into the air? 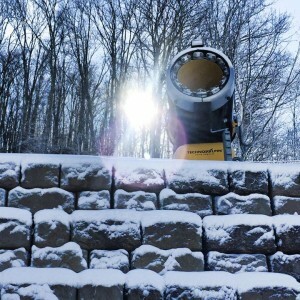 This revolutionary idea forms the basis of SnowMagic’s technology. Ober Gatlinburg’s SnowMagic equipment can make up to 50 tons of snow in 24 hours. No chemicals are used in the process, and when the snow melts eventually, only pure water is left to seep into the ground. This means that Ober Gatlinburg can lay a solid base of snow before the temperatures have fully settled into freezing, which opens up a world of solid scheduling in preparation for the season. It also means the slopes can stay open longer into Spring. The two ideal goals for any US ski report are to be open for Thanksgiving, and to linger into warmer spring weather. Snow making makes this happen. 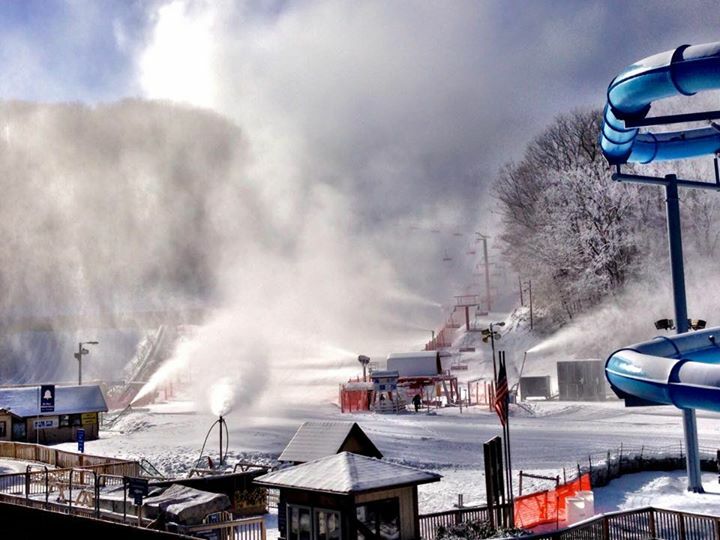 In 2013, with an early cold spell hitting the area, Ober Gatlinburg was able to turn all guns to an early open, and hosted the longest season in its history that winter. The following year, with colder weather holding off by a few weeks, the ski resort was still able to offer incredible family fun on its snow tubing slope, in time for the Thanksgiving break.